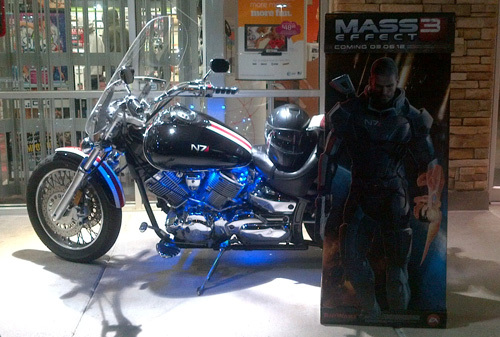 Mass Effect fan and friend of Fandomania Jason David has been riding his 2001 Yamaha Vstar 1100 Custom bike since 2005, but this past November was in a minor accident that necessitated some repair and repainting of his beloved “Black Betty”. 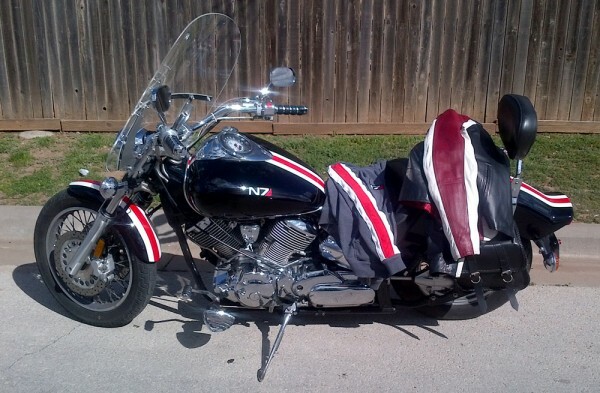 He took the opportunity to customize his bike in the style of Commander Shepard’s N7 armor from the game. After repairing the damage, I outfitted her with custom handlebars, floorboards, controls, windshield, exhaust, and a few other pieces. Then came the time for paint. I had already drawn up the concept months ago when I started dreaming up the repaint, so I already knew what I wanted her to look like. 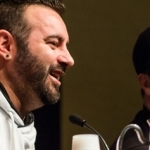 Basically, I wanted it to be a subtle design reminiscent of Cmdr Shepard’s N7 armor. One that, if you recognized what it was supposed to be, would put a smile on your face, and if you didn’t, you would just think it was a cool custom paint. 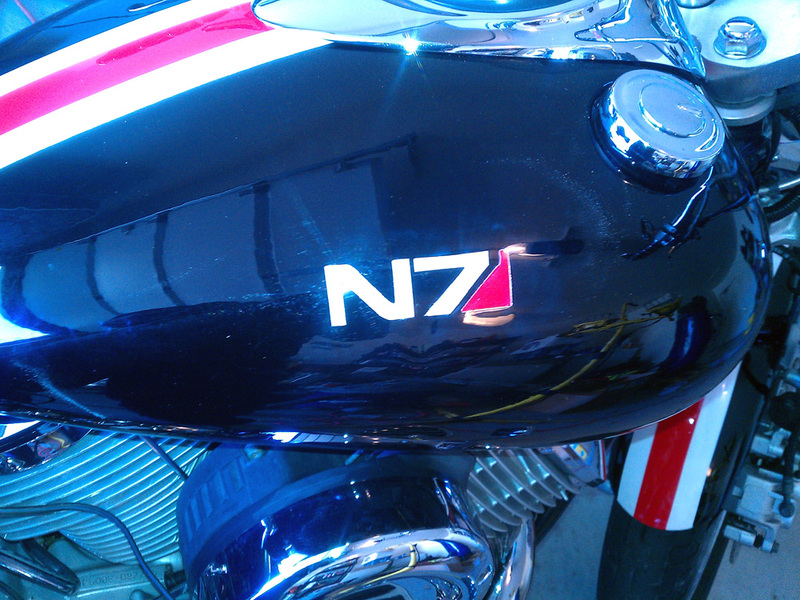 The way I envisioned it, if you look at it from the top, the N7 stripe down the center represents Shepard’s right arm. The rear fender represents the shoulder bell, with the stripe following the center line all the way through the front fender representing the forearm. 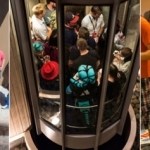 Also pictured: Jason's custom N7 hoodie and leather jacket. 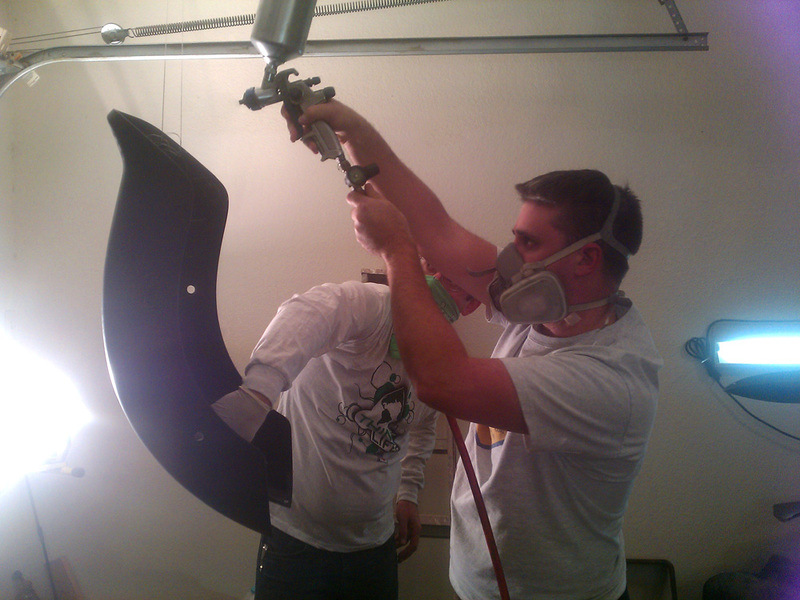 I got together with a buddy of mine that does automotive painting and started making my plan a reality. The automotive grade paints cost nearly $400. I spent days prepping the parts for paint before laying down the first coat of black. 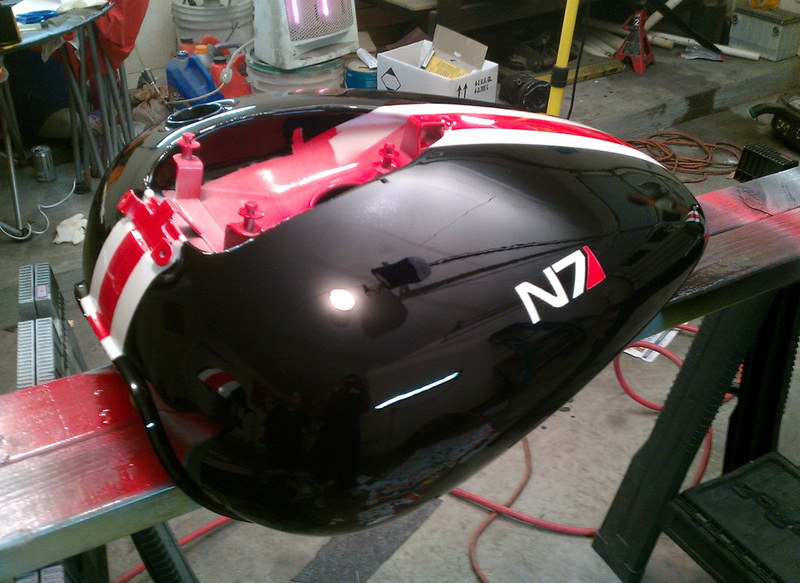 After the black had been laid down, I spent several hours meticulously laying the tape for the stripes, followed by the laser cut N7 stencils. This was my first foray into large scale airbrush painting, so some mistakes were made that made the process longer than it needed to be. After finally being satisfied with the paint and clear coat, I baked the pieces in an oven to cure them, then started reassembly. Then it was time to add the finishing touch. 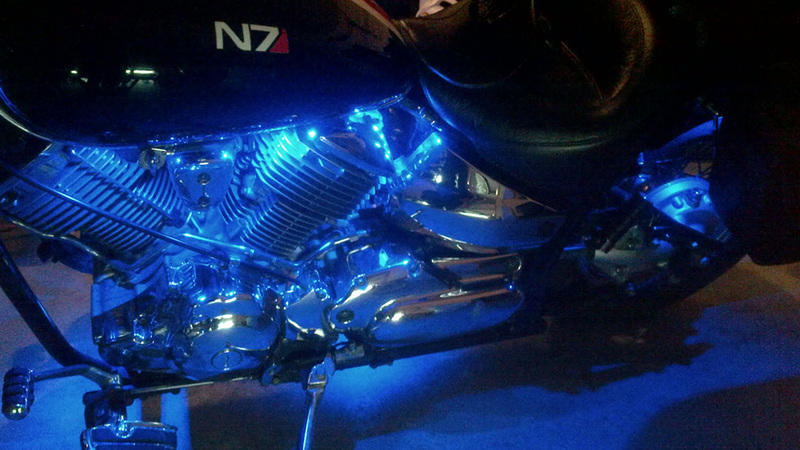 Shepard’s armor has blue lights throughout it, so I bought a remote control blue LED engine accent light kit to light up the chrome. There are 60 LEDs on the frame, engine, and underside that light up the engine and the road around me, as you can see in the pics. 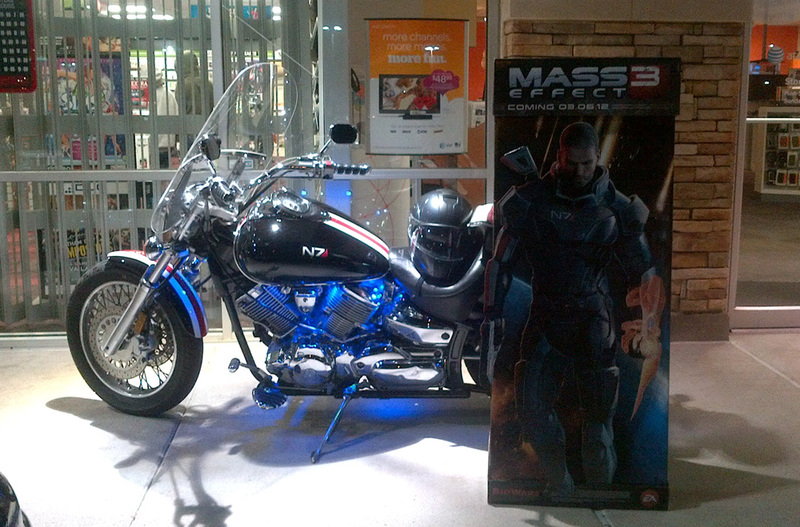 Check out more pictures of the bike and Jason’s process of customizing it in the gallery below! 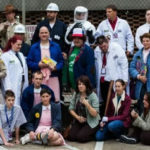 realmente voy a disfrutar de el diseño que le haga en base a este trabajo muchas gracias!